Kyoto Protocol (the band, not the accord) has fallen in love with Japan. 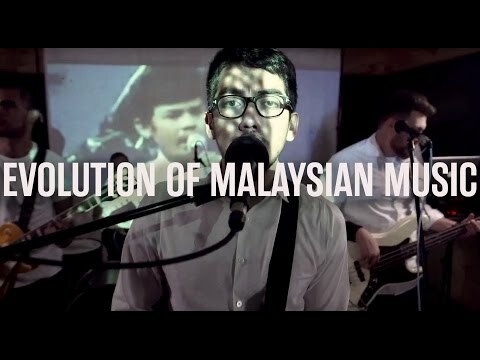 The band had spearheaded the renaissance of music that dared to be different in their home country of Malaysia, but it was in Japan that they truly honed their skills. Playing in live houses across the Kanto and Kansai region since 2014, the band was humbled by the high level that Japanese musicians aspired to. This in turn, was the catalyst that set in motion the events that culminated in the band’s 4th release: The Pen Is Mightier. This 7-track album showcases the band’s 9 years experience in crafting rock songs that move the soul. Their journey has seen the band undertake many incredible endeavours so far: reality primetime TV in Malaysia, playing at festivals with Shonen Knife, opening for the likes of Death Cab for Cutie and The Killers, but it is in 2018 where they plan to spread their own wings with their most ambitious tour of Japan yet, with hopes of the usual warm welcome from old and new fans alike!